Henna is widely known for its use in body art and temporary tattoos, but not so much for its use in healthy hair care. Using henna for your hair is part of an ayurvedic hair care regimen. Ayurveda is the ancient Hindu art of medicine and of prolonging life. It is a holistic approach to whole body health and wellness. 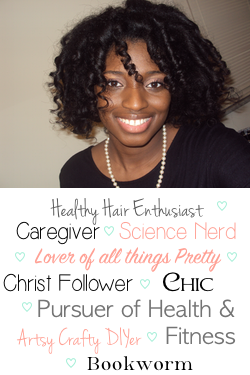 For example, with this mindset, healthy hair starts with a healthy body, mind and a life as stress-free as possible. An ayurvedic hair regimen is an all-natural one, involving plants (powdered), herbs and oils. However, it doesn't necessarily eliminate all other types of products from one's hair care, instead it incorporates these particular kinds of ingredients and techniques into it. So, what is henna exactly? 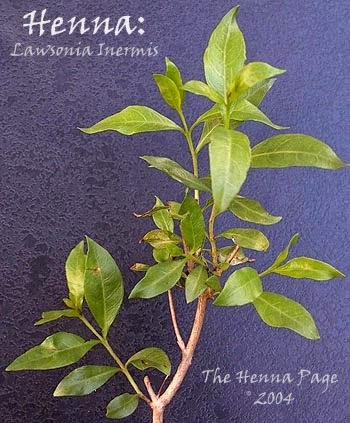 Henna is a flowering plant, Lawsonia Inermis, that grows as a shrub or small tree. It grows in warm, dry, and/or desert-like climates. The leaves of the henna plant contain lawsone, which is a red-orange dye. Lawsone is not only responsible for the dyeing properties of henna, but also for its strengthening properties. It has the ability to penetrate the hair shaft and bind to the keratin in the strand. It also has anti-fungal properties. Archeological finds say that it has been used both as a hair dye and for body art for over 6000 years in both Egyptian and Indian cultures. How does henna benefit your hair? The anti-fungal properties help refresh and keep your scalp free of dandruff, which is great. What really makes henna so beneficial, though, is the ability of lawsone to bind to the keratin in hair. One of the major effects of this binding is a color change. It will produce a combination of the reddish color it holds and your natural hair color. However, it will not lighten your hair. It may brighten it, but you are more likely to get a result darker than your natural color. This new bond also produces stronger hair. Not only does it bind with the keratin, but it also coats the strand to fill in rough or porous spots on the cuticle. This action can make hair smoother, shiner and more resistant to damage from every day manipulation. Because of the fact that henna is a permeable plant resin, this coating of your hair will not block out moisture. Last but certainly not least, all these benefits come from applying a completely natural product to your hair. No worry of any chemical damage! Are there any negatives to using henna? There are a few things about using henna that can be seen as cons. The first being the messy application process. Depending on your mixture and amount of hair, it can be really hard to apply (especially getting it evenly applied) and tiring. That can make it hard to rinse out, as well. There also has to be a lot more time allotted for dye release and for it to be left on your hair vs. other chemically based treatments. As with everything in establishing a hair regimen, you never really know what your hair likes best until you try it out...a few times. It may take some experiments to find you perfect mixture, dye release time, application and rinsing methods and all of that fun stuff. Another major issue is the drying effects of this treatment. Even though it is not one, henna mimics a protein treatment. So, it is very important to always follow-up with a moisturizing deep condition and some find it best to add moisturizing products such as oils and conditioners to the henna mixture itself. There are also a few things that people may see as pros, cons or be indifferent about. I, for one, found the smell to be a con. I'll talk about that more in my experience with it, but some people actually like it. It smells earthy to say the least. For naturals particularly, some experience a loss or loosening of their curl pattern. This could be a problem for some, great for others in reducing shrinkage, or you may not experience it at all. Finally, the color produced by henna is variable. It may change depending on: the light you're in, your natural hair color, the mixture you create, dye release time, etc. For some, it may be frustrating having a hard time reproducing the same results. For others, you may not experience much of a color change at all, so this wouldn't matter to you. I wanted to give an overview of henna and its benefits before discussing my experience with it. In case anyone was wondering about it. Hopefully, this will answer the main questions you may have about using it. Doing more research on it definitely confirmed why I wanted to use it in the first place. It also caused me to be a little more interested in ayurvedic hair care than I already was. Have you tried henna or are you planning on it? I am a hennaed head! The women in my family have been using it since forever (especially once they start greying) so it is something that I grew up with. That's cool Lydz! I've never personally known anyone who has done it so I'm getting a lot of questions when I tell people.